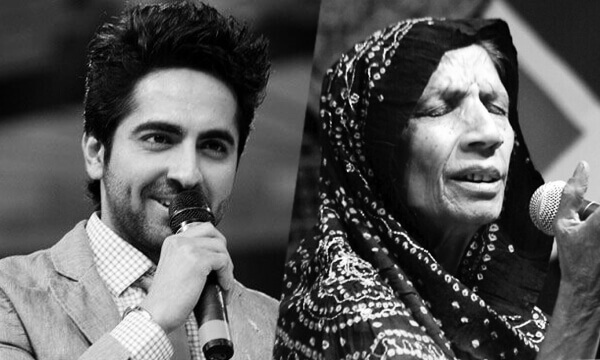 Bollywood star Ayushmann Khurrana, who is known for his chartbusters songs, has recently released a revamped version of the legendary folk singer, Reshma’s song Nain Na Jodeen. The song is from his upcoming movie ‘Badhaai Ho’ starring Ayushmann Khurrana and Sanya Malhotra which has already taken the internet by storm. Imran Abbas Reacts to Nargis Fakhri for Calling Him “A Nobody”! This Punjabi song is filled with love, hatred, jealousy, revenge, lust, and loneliness, all beautifully conveyed in the video as well. The performances of both of the actors are just phenomenal, each doing justice to their own roles. Moreover, the song is just a balance of fusion of a classical rhythm with a modern touch which makes it charming enough to keep everyone hooked till the end. This upcoming movie Baadhai Ho is already garnering a lot of attention by the Bollywood fans around the world. The movie is slated to release on October 19 this year and its multi-starrer cast includes Ayushmann, Sanya, Neena Gupta, Surekha Sikhri, Gajraj Rao and others. The film is helmed by Amit Ravindernath Sharma and is presented by Junglee Pictures in association with Chrome Pictures. Wedding Bells To Ring For Imran Abbas?